The Cumberland Lodge Scholarship is a scheme designed to enable current PhD researchers to develop skills for their career after completion of their PhD. 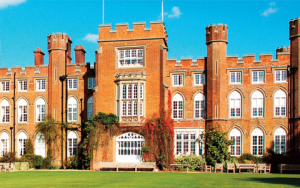 Cumberland Lodge is offering the opportunity for 1st or 2nd year doctoral students studying at universities in the United Kingdom to develop skills in communication, public engagement and interdisciplinary collaboration through a scholarship scheme. Applications are now open for the 2015 scheme. In 2014 one of the six Cumberland Lodge Scholarships was awarded to Adelina Gavrila, a PhD researcher from the Department of Inection, Inflamation and Immunology at the University of Leicester. Here, Adelina gives an account of her experience to date as a Cumberland Lodge scholar.